The 2016-2017 Erin Condren Luxe Life Planner Is Here! Lindsey here, and I’ve missed y’all soooo much! I am pleased to announce that I am back in “planning mode” (whoo hoo!) and so excited to bring you a review post of one of my favorite planning items: the Erin Condren Life Planner! A new year is coming and you know what that means: new planners! At Erin Condren they provide 18 month planners that launch in July each year, and this year they have a special little surprise for us: The Luxe Planner! This gorgeous specimen is different than their original life planners in one important way: the cover. This is not an interchangeable cover; this is a hard, sturdy cover that stays attached and has the feel of leather, and is engraved in the most beautiful gold or platinum foil lettering. If you know me, then you know I love taupe and platinum. There is also the option of teal and plum. Both absolutely gorgeous colors!! But there are also other changes to the Life Planner this year and I’d love to go through those with you right now. So if you are new to the Erin Condren family then know this: Erin Condren Life Planners are great quality planners which wonderful features, beautiful colors, and the cutest add-ons and supplies! In my little “surprise box” I was excited to see the Erin Condren sticker book, wet erase markers (that dry instantly! ), a clip in dashboard, elastic bands, and (new this year!) see through zip-lock pouch with samples, including a new! 6 inch coil clip that sticks on to whatever you’d like! Immediately upon opening the planner you will see the beauty and quality of this planner, as the first page is a thick but sheer cover with a beautiful design, showing the greeting and name/owner page that lies beneath. Last year this page was decorated with platinum foil but this year it has a beautiful and bright pattern called mid-century circles (so adorable) that we will see throughout the planner. The next few pages are complete with a few inspiring quotes, a yearly calendar, and (one of my favorites) a place for focused goal setting. Whether it’s a list of life goals, important events organized by month, or a collection of quotes, the goal setting page is the perfect way to focus on your aim! I love that throughout the years Erin Condren has redesigned her planners so that we can use them more creatively. Many sections are left blank for our own designs and titles. She truly wants us to feel inspired and to create! Now starts our monthly and weekly sections. Notice that each month has one designated color. Last year there were two. But this gives us a bit more creativity, as we can layer which colors we like, instead of trying to match two. and then a monthly view (with a sidebar for goals). After each monthly calendar, comes your weekly spread. One added change this year is the gorgeous watercolor print across the top of each weekly page. And when the month’s change from one to another, the watercolor blends so beautifully across the page. The back of the planner comes complete with note pages: lined, graph, and blank. These are great areas to practice creativity: sketch, scrapbook, or simply jot down. It also holds a calendar for the following year, which has a new and updated feature. You can now jot down appointments and dates for the following year. Finally, at the very back is a gorgeous folder and perpetual calendar. The graphic is awesome, but my absolute favorite is the folder on the backside and the metallic quote. a horizontal planner vs. vertical layout…and an hourly option!! Equally exciting are the many accessories at ErinCondren.com: pencils, highlighters, markers, colored pencils, erasers, journals, sticky notes, stickers, pocket folders, elastic bands, coil clip connectors, and more! For $10.00 off your first order, follow this link and register and a coupon code will be emailed to you! I hope that you all are as excited as I am! There’s nothing like a new year and a new planner, right? For a live view and “sneak peek” watch the video below. Cleaning. Its the bane of any mother’s existence. Really, just ask any mom you come across! There’s nothing worse than staring at a pile (or 4) of dirty clean laundry that needs to be washed folded and put away. And don’t even get me started on the constantly growing pile of dirty dishes in the sink! What if I told you that there is one way to make the mundane process of house cleaning and chores a little bit more enjoyable? Guess what, there is! All you need to do is download these FREE Kawaii functional cleaning stickers created by Nathalie Hölterhoff, one of our awesome Squadettes! We’re so excited to have these super cute free printables that Nathalie made just for us in the Planner Squad pink color! Seriously – how cute are these?! You can download Nathalie’s FREE Kawaii functional cleaning stickers by clicking on the image below! Click here to download these free Kawaii functional cleaning stickers! Now, I may actually enjoy adding my cleaning chores to my planner. I may not enjoy the cleaning part any more than normal, but at least the stickers might help motivate me a little more, right? Here’s to hoping! At least they will look cute in my planner! Once you’ve had a chance to try these beauties out in your own planners, be sure to upload a pic and tag us @plannersquad so we can see it (and don’t forget hashtag #plannersquad)! Nathalie has an awesome blog (which you can find here) where she blogs about all kinds of things from her love of all things rockabilly (she totally rocks that vintage look!) to, you guessed it, planner freebies! You can also find Nathalie on her instagram account, twitter account, and of course, her blog. Make sure you check her out and send her some Squadette love! Would you like to share your creations with the Planner Squad audience? We’re always looking for contributors for blog posts, printables, or both! Click here for more information on being a Planner Squad Contributor! I love to decorate my Happy Planner. There are so many amazing weekly kits out there but since I do not have a sticker cutting machine (Now I do! Here is my new friend!) but it takes so much time to hand cut each sticker out and place them where I want them. Then one day, I was scrolling through one of my favorite planning facebook groups and found someone had shared this awesome Happy Planner hack! I was so excited about it that I knew I had to share it with you! Don’t have a Happy Planner yet? You can get one here through Blitsy! In order to get started, you will first need to download the FREE Silhouette Studio Basic Edition software. No, you do not have to have a Silhouette to do this tutorial – but you do need the software (or Photoshop). You will also need to download these free Happy Planner page templates (courtesy of Jing) as well. You can find the free downloads here at our free printables page. Find where you downloaded your template files and open them in the Silhouette Studio software. To do this click on “File>Open>Select File>OK”. Print this Template from the Silhouette Studio Software prior to decorating on regular computer paper. Import all of your decorative elements to the Silhouette Studio Library. To do this click on “File>Import>Import to Library>Find File to Import>OK”. Click on “File>Library>Library” to open. Find the decorative elements you wish to add to the template and double click on it. It will then be inserted to the file on top of your template. Click and drag to move the element where you would like it to print on the page. Do this for all of the elements until you have placed them all where you want them. Use your printed blank template and add a page from your happy planner so that it fits in the box. Once you have lined up the pages correctly, use washi tape to keep the paper in place during the printing process. (Tip: I tape along the top and bottom instead of the sides like in the photo to keep from ripping the punched side of the paper). Click on the white page of the template to select only the template. Then press “delete”. Your design elements should be in place still, but the template boxes should disappear. Put the template with the Happy Planner page taped to it, into your printer. Press File>Print, and print your design. Your design will print directly onto your happy planner page! There you have it! A decorated Happy Planner Weekly Spread and it didn’t use a single sheet of sticker paper! Of course now you can add more fun elements to it to spice it up if you’d like, but this Happy Planner printing hack makes the process much easier and saves so much sticker paper! Did you try this Happy Planner printing hack out for yourself? I’d love to see how it turned out! Share a photo with us on Instagram and tag @PlannerSquad! I can’t wait to see what you all come up with! If you are not familiar with the term, no worries – you’ve probably seen it all over or may be doing it yourself. “Glam Planning” is simply decorating your planner. You can get as fancy with it as you’d like, or you can keep it sweet and simple. It’s up to you. Though my journey into glam planning started out simple, it has become a peaceful, relaxing, almost ritualistic thing that I do. I take about two hours each weekend, gather my supplies, MAKE SOME TEA AND LIGHT MY CANDLES, and sit in my “woman cave” and get to work. I’m going to take you through my whole process and show you how you can be a glam planner too! Before the actual “decorating” aspect of this activity, you will want to think about what exactly you are planning. Are you using this for school? For an all-in-one daily planner? A blog planner? It’s important to know what you want to keep track of so that you know what stickers you want to buy. How many checklists do you need? Do you need a checklist for each day, or just a weekly check list? Do you want to add meal planning stickers? Do you need stickers for social media plans? Do you need to track exercise? Hydration? There are stickers for just about everything out there. On that checklist would be my daily habits and whatever was of utmost importance that day. In my middle box I would list other activities for the day, hydration checklist, meal planning stickers, or, sometimes, I would simply add a motivational quote. In the third box I would write in what I had going on that evening. At the bottom, on top of the provided lines, I would actually cover with another checklist for my bedtime routine. I would use my weekly sidebar to write down my aim for the week, whether it be a beautiful quote or scripture to remember, a written checklist, or a bit of both. Even a drawing. Now, just where can you find stickers? Michaels Arts & Crafts, Joanne’s Fabric, Hobby Lobby, and similar places obviously have aisles of stickers. But when it comes to planner stickers with checklists my personal favorite place to purchase is Etsy. Go to Etsy.com and search “planner stickers”. If you have an Erin Condren Life Planner you can search “Erin Condren planner stickers” but most of the stickers made nowadays fit the Erin Condren very well. Now please note: some stickers are premade and will be mailed to you. My preference is to buy printable stickers. This means that when I purchase them, I will be sent an instant download that I can save on my computer and use again and again. I simply put sticker paper in my printer and then print the pdf or file I was sent onto that paper, and voila! beautiful stickers. And the really nice thing about having sticker paper is that you can print any image onto it. So you can make your own stickers. Gasp! Another great place to find stickers is on Instagram. Search hashtags such as #planneraddict #planner #plannercommunity #plannerstickers #erincondren, and at that point you can pretty much follow the trails to all sorts of planners Instagram accounts. 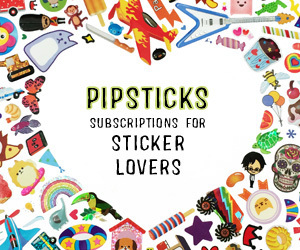 Most everyone that makes stickers advertises on Instagram, and you can also view planner’s spreads and ask them where they found their stickers. I’m not kidding about this. Make this a beautiful, relaxing hour or two in your life. Make a cup of coffee or tea, a plate of shortbread or grapes, light a few candles, and put on some soothing or inspiring music. Retire into your woman cave. Oh, dear me, why didn’t I mention chocolate? Now it’s time to get going! This may take a while depending on how many itsy-bitsy stickers you have. Important: Cut your stickers and lay them out how you want them FIRST before you stick them on. Otherwise, you could end up having to peel them off. Then you are ready to lay your stickers on top of that. Once all your stickers are laid out like you like (this is often photographed and referenced in the description as #beforethepen) you will then want to fill it in. I like to fill mine in with pencil and then go over it with pen or markers. Mistakes are hard to cover and whiteout doesn’t always go with the sticker or background you may be writing on. My personal favorite part of this “ritual” is filling in the sidebar. Many choose to put a weekly checklist in the sidebar, but I prefer to use this space to practice my lettering (which is slowly coming along) and to write something beautiful and inspirational. So there you have it! A beautiful spread! At this point you can add your bling. Whatever your little heart desires. Now, take a step back, breathe it in, and admire your awesome craft. Wait! Don’t go anywhere yet! We want to see it. Snap a picture of that baby and share it with the world! You can upload it to Instagram and hashtag #plannersquad, and then use your Instagram link to upload it to our weekly linky party. Also, share it on our Facebook group! Spread that planner love, girls! Thank you for joining me for Glam Planning 101. I hope you turn your dreams into plans!